Foam Gaskets in variety of Shapes made from Special Gasket/Jointing Materials like Flexoid, Compressed Asbestos Fiber, Cross Linked Foam. We offer our clients a wide range of Foam Gaskets. Widely appreciated for their flexible nature and optimal elongation, these are high in demand among our clients. These are appreciated for their features like high strength and optimal quality. Further we offer them at market leading prices. Reckoned as one of the involved companies of the industry, we are extremely immersed in providing Foam Gasket. We are a prominent company involved in manufacturing and exporting a wide gamut of Foam Gaskets. 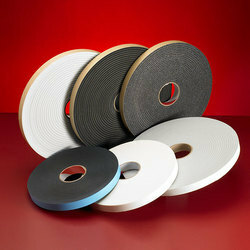 These gaskets have excellent adhesion capacity and are very reliable. Gaskets, barrier to moisture, dust proofing, vibration dampening, sealing, cushioning, packaging, sound deadening, insulation, gas retention. This polyethylene foam gaskets are most commonly used in Electric Panel, AC ducting & other sealing purpose. 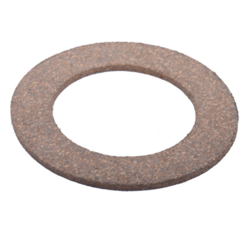 We are the leading manufacturer and suppliers of a wide range of Foam Gasket.